Tooth decay constitutes to be one of the most common oral problems that people face all over the world. The problem is faced by people of all age groups ranging from children to adults to elderly people. A timely tooth decay treatment from a dentist will help in managing the problem well! Plaque buildup around the teeth can lead to dental problems such as demineralization, dental caries or holes, gum diseases, dental abscesses, etc. Dental cavities can be defined as the hole in between the teeth or within a tooth. Holes are formed due to tooth decay. If you wonder what causes tooth decay, then the most common cause of tooth decay is bacterial infections, which leads to the destruction of the tooth tissues. Demineralization will lead to the formation of holes in teeth. There is a great possibility for the Dentist to find small cavities even after being very cautious with the dental hygiene. It can be extremely tempting to avoid getting the tooth decay treatment done when you don’t feel any pain or problem with the minor cavities and dental problems. 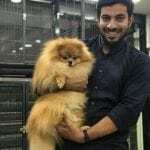 However, it is of prime importance for any individual to understand that the treatment of the dental problems might seem to burn a hole in the pocket but must never be neglected or avoided. To cure tooth decay, treatment and care both are essential. The minor and trivial problems can quickly transform into major dental issues, so be cautious! Plaque buildup on the teeth is common but the production of acid from the plaque is dangerous. It will lead to decay without any major signs of tooth decay. The beginning of tooth decay will occur much before you can identify the tooth decay symptoms. Before you can even notice the initial symptoms, the tooth would have been decayed to a considerable extent. The bacterial plaque around the tooth will use the sugars from the food to create strong acids. The acid buildup will soften the tooth over time and dissolve the hard outer layer leading to tooth decay in children and adults. The process of tooth decay will expedite once the enamel of the tooth gets dissolved and will reach the blood vessels. 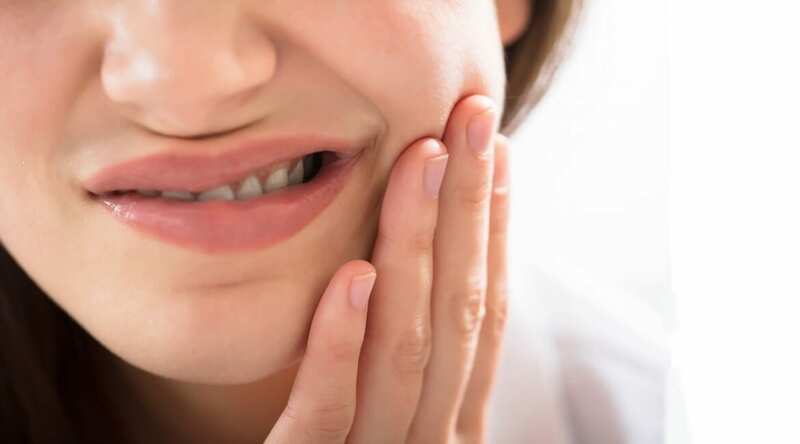 The stage when you start feeling pain is when the tooth has been decayed and infection has reached the nerves. Hence, tooth decay treatment is paramount and essential to prevent further gum problems. Tenderness in gums while drinking or eating. Grey, black, or brown spots on teeth. White stains on the tooth. Visible holes in the tooth surface. Timely tooth decay treatment will go a long way in keeping the teeth healthy. Untreated cavities can lead to severe tooth pain, infection, gum diseases, tooth loss, etc. The most common tooth decay remedy is filling the cavity. The other treatments involve using crowns and root canal. Proper dental hygiene is the main criteria to keep in mind for healthy teeth. Taking care of the existing cavities and timely tooth decay treatment is paramount for oral hygiene and care. You should brush your teeth twice daily for a minimum of 2 minutes. Flossing also plays a major role in keeping the teeth healthy. Apart from maintaining the dental hygiene, you should also try the natural remedies for tooth decay. There are innumerable natural products that can help in maintaining the oral hygiene and also providing relief from pain. There are various tooth decay causes, but the pain will be felt only after the decay enters the enamel. Enamel or the outer hard covering of the tooth will get dissolved and the bacteria will enter the dentin layer. The dentin layer is composed of tiny nerve endings and blood supply. The nerve endings will become sensitive to exposure to hot, cold, sticky, sweet, and sour foods. There will be discomfort while biting and chewing food. Tooth decay will be rapid at this stage as the dentin layer will be softer than the enamel. This is the stage when the signs of tooth decay will be visible. Tooth decay pain and discomfort will get severe as the decay progresses. You must cure tooth decay else the pain can keep you awake all night. Severe tooth decay can lead to facial swelling, fever, unpleasant taste in the mouth, pus in the gums, swollen gums, etc. Regular visits to the Dentist are paramount for maintaining the dental health. The earlier the tooth decay is detected, the faster the tooth decay treatment. It is crucial to keep in mind that it is easy and cheaper to treat the tooth decay in its initial stages. Regular dental checkups are essential to keep the teeth healthy. Adults should have a checkup at least once in a year. Children must see the Dentist every six months to keep dental problems at bay! If you wonder how to prevent tooth decay then don’t forget to fix the appointment with the Dentist. The tooth decay treatment will depend upon the severity of the decay and the stage at which the tooth decay has reached. Early Tooth Decay: At an early stage of tooth decay, the dentist will check the intake of sugar and other sweets. The topical application of fluoride gel or paste will be beneficial in strengthening the enamel of the teeth. Tooth Decay: Once the tooth has begun decaying, the dentist can identify it through the formation of holes in the teeth. He or she might suggest filling the cavities to prevent the further spread of the decay to the other teeth. Tooth Decay Till Pulp: Root canal treatment will be offered as the best tooth decay remedy. Local Anesthesia will be administered to numb the tooth and clean the cavity. The treatment will involve the use of a crown to cover the teeth from further decay and infection. Denture: If the tooth is damaged beyond getting tooth decay treatment and can’t be restored, then you will need to remove the tooth. The Dentist will replace the tooth with a denture or an implant. 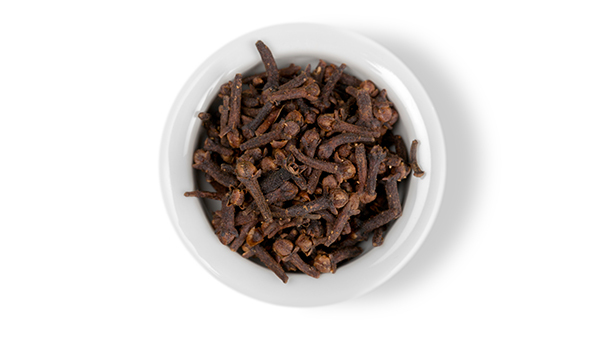 Clove is one of the most crucial ingredients for tooth decay treatment at home. It has striking anti-inflammatory, anti-bacterial, and analgesic properties which help in keeping dental problems at bay! However, it is paramount to keep in mind that using excess amounts of clove oil is unsafe. It is advisable only for temporary relief of severe pain or a toothache. Clove helps in decreasing the pain and prevents the cavities from spreading further. Many people chew the clove to extract the oil and keep it in the mouth for few minutes to alleviate the pain. Alternatively, you can also use clove oil on a cotton ball and keep in the mouth at bedtime. Salt can be used as one of the best natural remedies for tooth decay. It has remarkable anti-septic and anti-bacterial properties which will help in reducing the inflammation and removal of the infection. Salt will help in easing the pain and preventing the growth of bacteria in the mouth. The best way to use salt is by diluting it with warm water and swishing the solution in the mouth for about a minute. Alternatively, the best tooth decay treatment is to use salt with some mustard oil and lemon juice. Application of the thick paste on the gums and gargling with warm water will help in killing the bacteria. 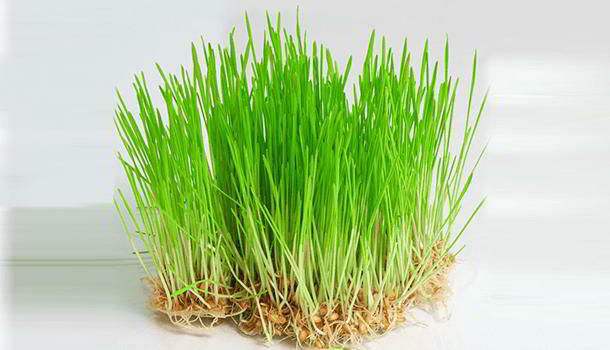 The natural antibacterial properties of wheatgrass help in preventing most of the dental problems. The rich nutrient value of wheatgrass makes it one of the healthiest ingredients for strong teeth. Oil pulling is a practice in use for treating dental problems from time immemorial. It facilitates in cleaning the harmful bacteria from the mouth. Sesame oil, coconut oil, and sunflower oil are the commonly used oils. It is of prime importance to spit the oils and avoid swallowing them. You can brush your teeth after using the oils to help in treating tooth decay in children as well as adults. Garlic has both anti-bacterial and antibiotic properties which help in preventing tooth decay. Garlic promotes healthy gums and teeth by reducing cavities, alleviating pain, and reducing infections. 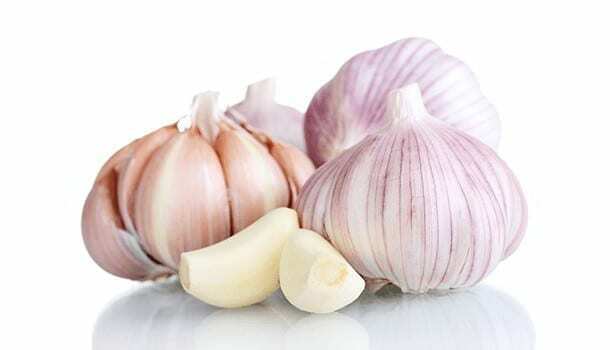 Swallowing some fresh garlic cloves for a few weeks and using garlic oil on the infected area will be the best tooth decay treatment at home. People who have raw garlic regularly will help in promoting healthy gums and teeth. Indian Lilac is popularly known as Neem. The remarkable anti-bacterial, anti-fungal, and antiseptic properties help in keeping dental problems at bay. 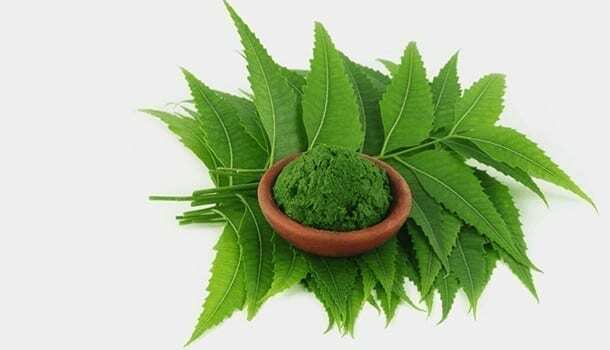 You can use the soft neem tree stems to brush the teeth and also use the neem leaves paste on the gums. Licorice root is found to be beneficial in keeping the teeth healthy. The anti-bacterial compounds present in licorice root, namely Licoridin and Licorisooflavan A will inhibit the growth of bacteria in the cavities. The powdered form of dried licorice root can be used in brushing the teeth as the best tooth decay treatment. Turmeric is most often used by people to alleviate the pain caused by a cavity. The remarkable anti-inflammatory properties of turmeric help in keeping the gums and teeth healthy. Turmeric powder when applied directly to the infected area or the paste of turmeric powder with mustard oil to reduce the infection. Using turmeric will turn out to be the best tooth decay home remedies. Nutmeg has natural anti-carcinogenic properties which help in preventing cavities and tooth decay. Nutmeg with clove oil or oregano oil helps in reducing the pain and reducing the infection. Indian Gooseberry is commonly known as Amla. Being a rich source of Vitamin C and antioxidants, Amla helps in providing protection against various types of dental problems. You can have a fresh amla every day or use the dry powder of amla on the gums to alleviate a toothache and prevent infections. Tooth decay is a preventable problem and taking some care will help in keeping the dental problems at bay. · Visit the Dentists regularly. · Cut down sugary products. · Brush the teeth twice in a day. · Cut down on alcohol consumption. · Check with the doctor if you have any medication or underlying disease. You can use anti-bacterial mouthwash to help in killing bacteria and removing plaques. Rinse your mouth with warm water and salt after having snacks. Avoid foods with refined sugars. Drink green or black tea to avoid the build-up of plaque. Chew sugar-free gums to stimulate the production of saliva in the mouth. Drink lots of water to keep the body hydrated. Drink cranberry juice to promote healthy gums. Have Vitamin-rich foods to keep the mouth and gut healthy. You must have foods high in fibre content to stimulate the production of saliva. Have Vitamin D supplements as most people suffer from its deficiency. The natural remedies and timely tooth decay treatment will help in the prevention of cavities and other dental problems.